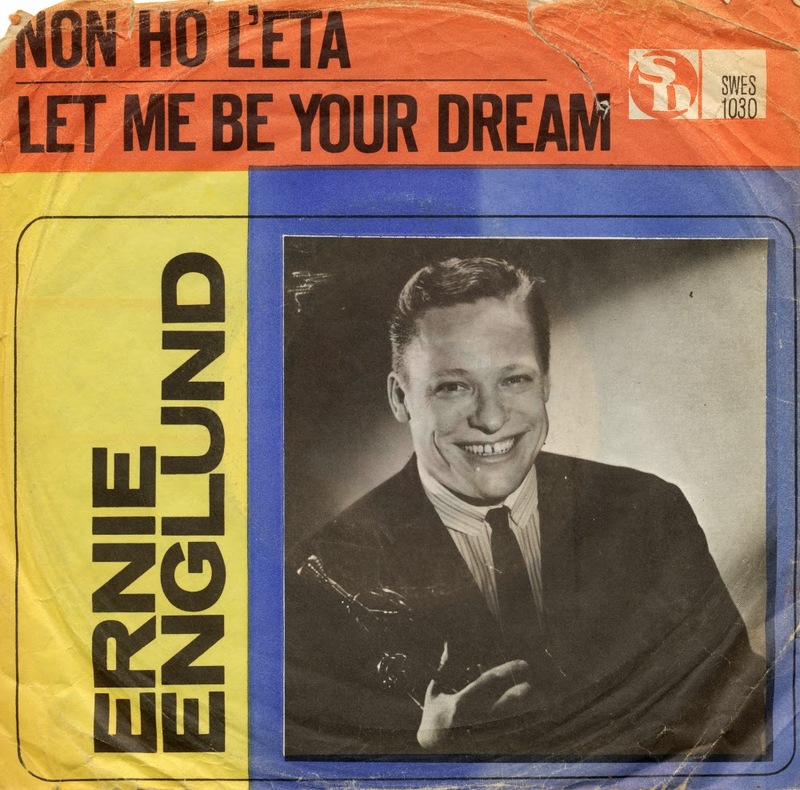 Ernie Englund was born as Ernest Englund in Chicago, Illinois (USA) on March 26, 1928. In 1944 he came to Sweden, where he started a career in music a decade later. He was a successful composer and trumpet player, releasing several albums and singles between 1954 and 1970. I found this single recently, featuring an instrumental cover of Gigliola Cinquetti's Eurovision winner 'Non ho l'eta'. Presumably, the single was taken from the 1969 album 'Blue trumpet', which is listed on Discogs.com and features more instrumental covers like 'House of the rising sun' and 'I (who have nothing)'. 'Let me be your dream', he asks on the B-side of this single, but I wonder if anyone would want that, looking at the cover of this single. It doesn't matter anyway: Ernie passed away on December 21, 2001 in Hamra on Gotland (Sweden).